Although ordering a custom PSD design to WordPress development project is an easy one but still you need to take care of certain things in the requirement management if you want to do it perfectly. For this your planning should be proper then only it will be executed perfectly. But everything cannot be planned and neither everything need to be stated as a requirement. But then people can make assumptions for what is common sense. 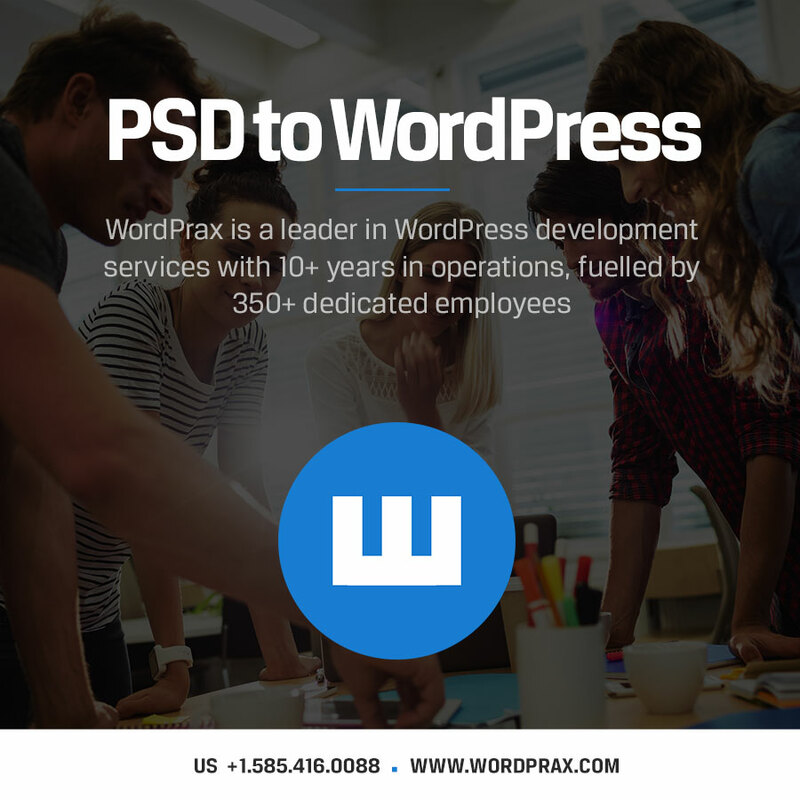 Not all companies which want their PSD to WordPress Theme conversion, write the detailed and thorough requirement document but there should be some middle way so that the company ordering PSD files to WordPress becomes able to express clearly what they want and the developers also get to understand exactly what needs to be done. There are many different ways to specify a website. Below are one such set of things that are important while sending a work order for building a website from PSD design files. Some companies don’t have experience of working with design files as they used to choose a premium theme and start adding images and content into it. For a developer and designer this can work but while outsourcing work to a development team this won’t work. When you outsource a site there always comes a feedback stage. When this feedback is design related, make sure you provide exact and very detailed instructions like “move the button higher” should be written as“ change the top margin of button X from 45px to 25px” and also provide a screenshot for that. Animations are not easy to explain in plain design files hence you should find an animation on the web that you like and link to it for reference in the specifications itself. There are many libraries online for this. A design file can have some content whether final, primary or just lorem lpsum. The content on a site always evolves over time and the website should be capable of handling this. The variable length of this content can create some problem in the design hence better to display the extremes of what you can get already in the designs. If you want to have advanced functionality on your site like a calendar, map, form, webshop, slider etc then you should always specify how you want it to work. Sometimes a short note is enough and sometimes you need to write steps on a whole page. If you already know some plugins which you have used and want to add into your website then you should tell the developers about your preferences. We outsource the PSD to WordPress work as we want experts for the coding work. Some companies want a custom theme development and want to do rest of work themselves like adding content, setting up SEO and page optimizations while some companies want everything developed, content added and settings done. Make sure the developers understand what you want. The final website can be delivered in many ways. Like using a plugin and sending the whole site via Google drive to the company. Also it can be migrated over to a development server or a live server. Make your preference clear to the developers about this. We have just discussed the important tips for outsourcing your PSD to WordPress Theme conversion work to expert WordPress Developers. You shouldn’t assume that your development partner can read between the lines hence explain everything. Give comments on all the additional functionalities. Be specific when telling about changes in designs like moving button. Also tell whether you want all contents to be added or you want to do it yourself. If you will follow these guidelines then you will be able to reduce the time taken in iterations and rework and it will take less time to complete your PSD to WordPress theme conversion process. Category: psd to wordpress, WordPress Developer and tagged PSD to WordPress Theme, wordpress developer by The WordPrax Editorial.